Enhance your property with a brand-new, bespoke conservatory. Not only does a conservatory improve your available living space, but it also increases the market value of your property. For windows of the highest quality installed by professional fitters, get in touch with our expert team. We supply windows in a variety of styles to ensure that we have the perfect installation for you. 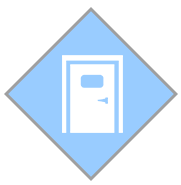 As an entrance to your home, doors play a significant role in securing your property. At Crystal Clear Windows Ltd, our doors are designed with both security and appearance in mind. Call 01922 412043 to acquire first-class improvements for your home. Breathe new life into your property with our exceptional home improvements. At Crystal Clear Windows Ltd, in Walsall, West Midlands, we specialise in supplying and fitting uPVC installations, including windows, doors, and conservatories. For more than 15 years now, our family-run business has been providing personal services that are tailored to meet the client's needs. By consistently delivering high-quality home improvements and supplying the finest products available, we have developed an enviable reputation. Our work is flexible, and for homeowners who wish to complete installations themselves, we offer a supply-only service. Contact us now, in Walsall, West Midlands, for more information about our home improvements and uPVC installations.